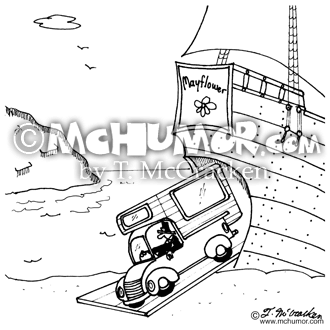 Canoe Cartoon 6910: "The Lewis and Clerk Expedition." 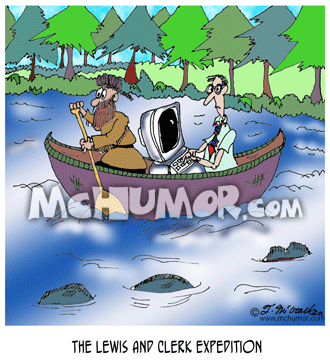 An explorer and a data processor share a canoe. 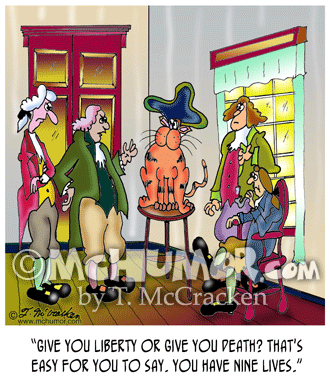 History Cartoon 5682: An American revolutionary patriot saying to a cat, "Give you liberty or give you death? 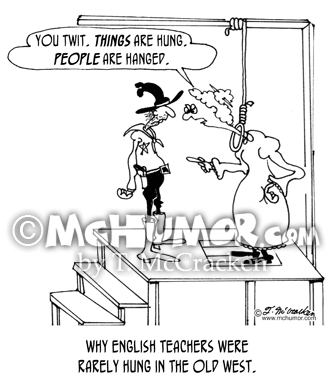 That's easy for you to say. 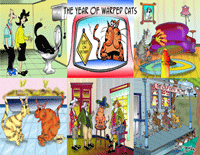 You have nine lives." 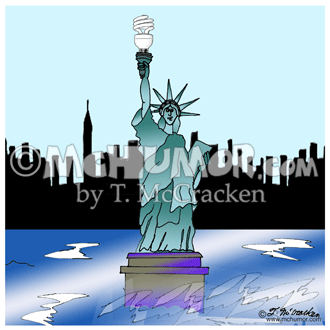 Bulb Cartoon 9182: The Statue of Liberty's torch has an LED lightbulb in it. 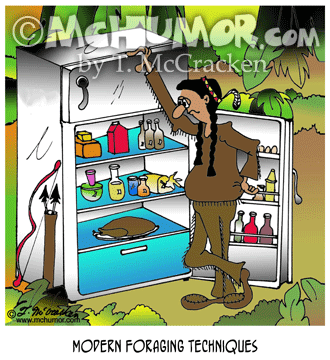 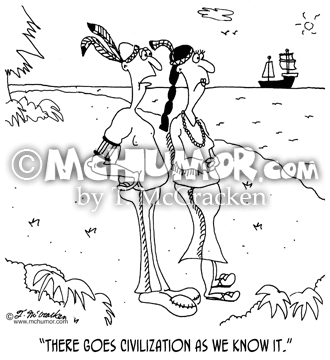 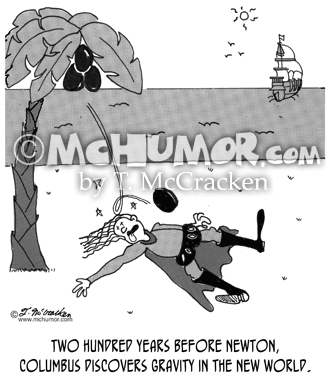 History Cartoon 5296: An Indian seeing the Mayflower off in the horizon saying to another, "There goes civilization as we know it." 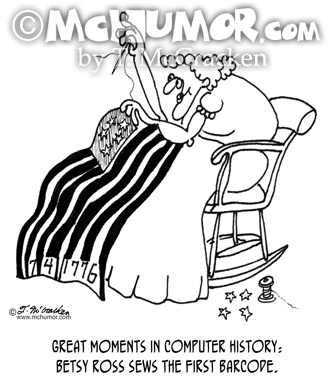 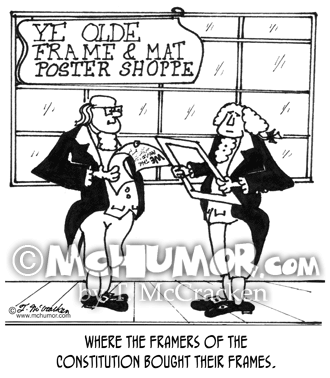 History Cartoon 3440: “Where the framers of the Constitution bought their frames.” In an art store Revolutionary patriots buy frames meant for paintings.